Pendulum (1" - 2") w/ Clear Quartz Bead - 1pc. 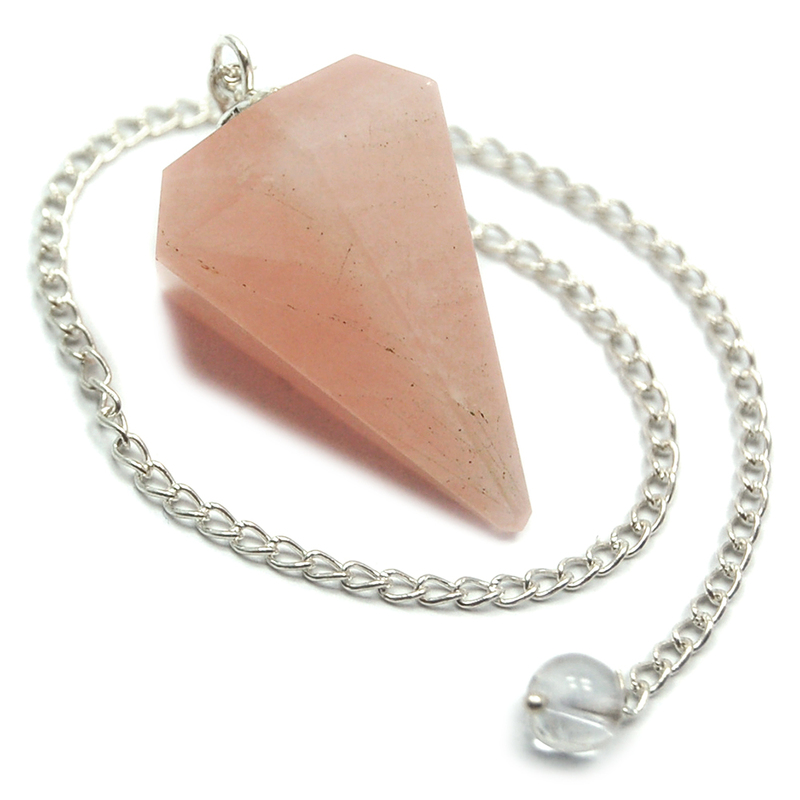 Rose Quartz Crystal Pendulums (India) - These Rose Quartz Pendulums from India come to in a variety of styles. 1) Faceted Top w/ Clear Quartz Bead. 2) Round Pendulum. 3) Faceted Pendulum w/Amethyst Bead. Each of these Pendulums is unique, some longer and thinner, some shorter and fatter. Rose quartz connects with your Heart and amplifies the power of love, making it a good crystal to use for a Pendulum. To scry using a pendulum, you hold the small end in your hand, remaining very still, and ask a yes or no question. If the pendulum moves in a circle, the answer is yes, and if it moves from side to side, then the answer is no. This is a very basic explanation, but let your intuition guide you. 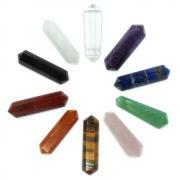 When asking questions, try holding the Pendulum over your favorite stone or crystal for clearer answers. 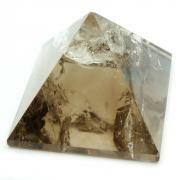 When asking questions, try holding the Pendulum over your favorite stone or crystal for clearer answers. Rose Quartz is known as the stone of Love. 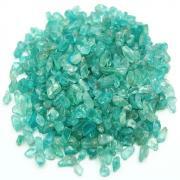 It gently opens the Heart Chakra, bringing a release of stress and a clearing of emotional debris, which can help immensely in cases of depression. Many people use Rose Quartz to attract loving relationships to them. 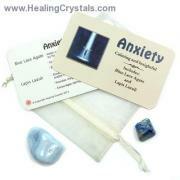 It encourages peace, love, and brings calming and soothing energies to those in need. 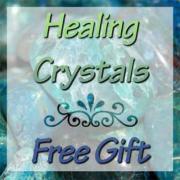 Physically, Rose Quartz can help chest ailments when placed on the chest. Meditating with Rose Quartz can help one to become receptive to positive vibrations, integrating them into one's life. Rose Quartz is a peaceful crystal that promotes an understanding of Divine Universal Love.